May 25, 1953 CE: First Public Television Broadcast in U.S.
On May 25, 1953, KUHT, the first public television station in the U.S., made its first broadcast. 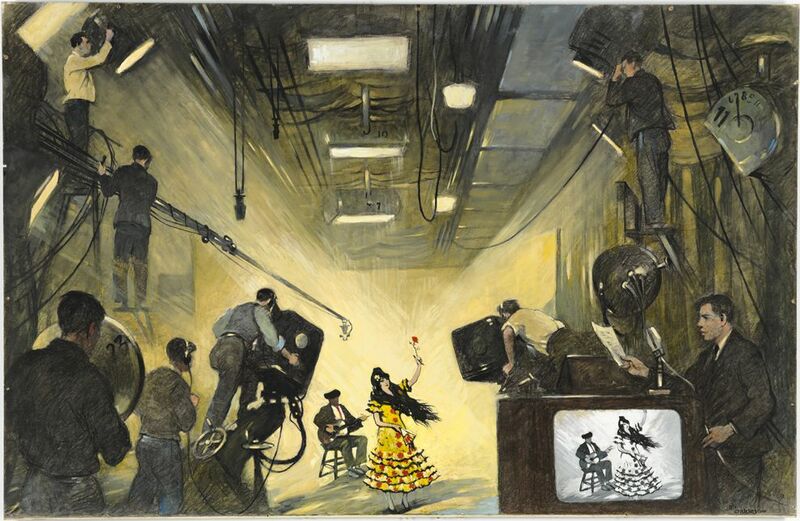 Public television stations are one of the only places most people can see flamenco dancing like this. On May 25, 1953, KUHT, the first public television station in the U.S., broadcasted its first program. KUHT was a part of the University of Houston, Texas, and remains part of the system today. The first program broadcast was a local variety show aimed at young women, It’s Five. Public television stations serve the public interest, not individual advertisers or station-owners. Public television stations are funded by corporate sponsors, taxes, and individual contributions from “viewers like you.” Many public television stations, such as KUHT, are affiliated with universities or colleges in the area they serve. Public television stations are dedicated to broadcasting programs not available on commercial networks. Many of these programs appeal to underrepresented communities, such as youth, those with minority or marginalized identities, or the poverty-stricken. Popular public television broadcasts include children’s programming, such as Sesame Street; dramas, such as Masterpiece Theater; documentaries, such as American Experience; or news programs, such as Frontline. advertise Verb to praise a product or service in order to encourage people to buy or use it. to associate or connect to something else. to transmit signals, especially for radio or television media. resource donated to a cause. business made up of a group of stockholders, or people who own interest in the business. to give money to a program or project. to reduce the significance or importance of something. status of having very little money or material goods. available to an entire community, not limited to paying members. person or organization that finances a project. money or goods citizens provide to government in return for public services such as military protection. diversity or many different types.